Meet your new favorite rollerball: the Lamy Safari Rollerball Pen is ideal to use in all writing situations, whether it's at home, in the office, or on the go. Designed by Wolfgang Fabian & Bernt Spiegel, Lamy released the Safari Fountain Pen in 1980 and it quickly became known for its durability and ease of use. 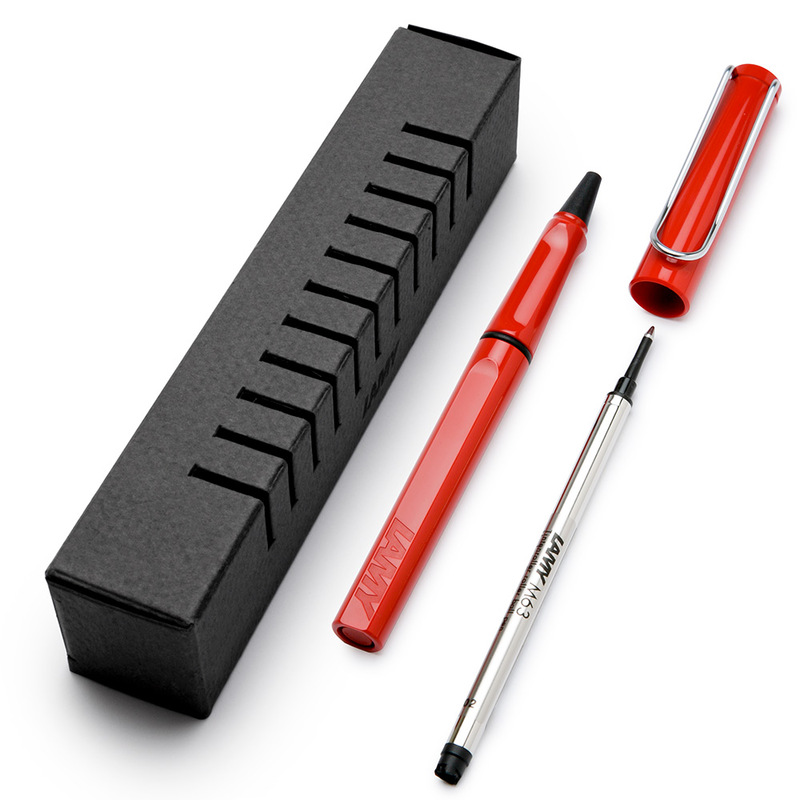 Soon after, Lamy introduced the Safari in ballpoint and rollerball formats, as shown here! 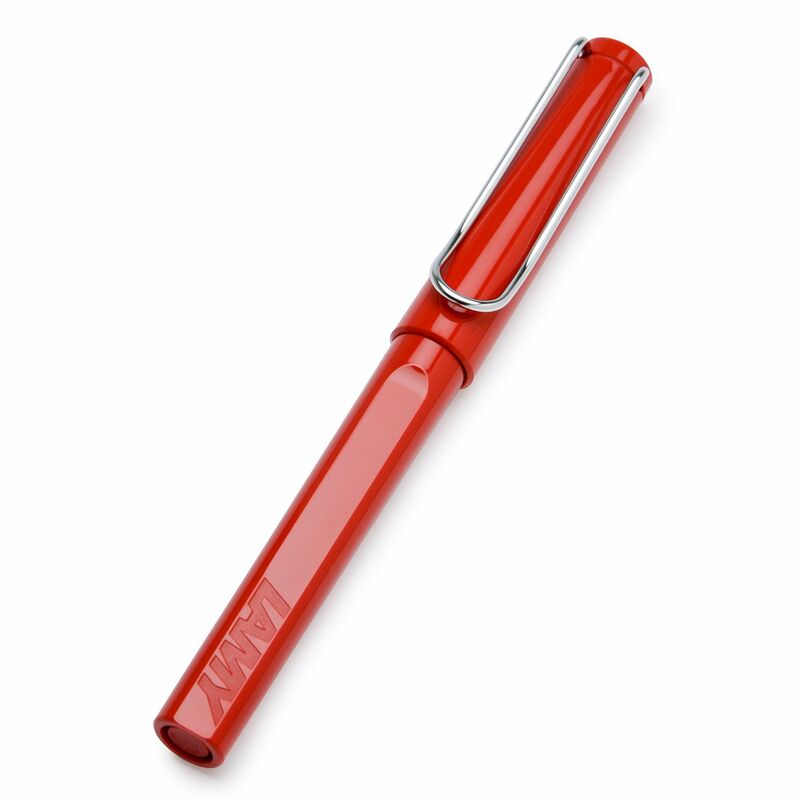 Made of sturdy ABS plastic, the Safari Rollerball's unique design has a flexible wire clip, plus molded triangular grip for comfort when writing. The Safari Rollerball Pen uses Lamy's M63 Refills and comes with a medium refill already inserted in the pen so it writes right out of the box! "No design writes better," promises the famed German pen manufacturer Lamy. With countless fans to attest that claim, Lamy rose to prominence using groundbreaking techniques with moulded synthetic plastics in their pens. Founded in 1930 by Josef Lamy, Lamy pens cemented themselves as one of the best and most modern pen manufacturers with their flagship fountain pen the Lamy 2000, first released in 1966 and still their premier pen to this day. Today, Lamy has branched into ballpoint pens, rollerball pens, mechanical pencils, and more, and is still at the forefront of pen innovation.